How does the picture relate? More to the point, Cervantes was a complex, funny, intelligent, reasoning and romantic humanist, so what’s driving the two characters, guiding and interacting with them, including other characters, is poles apart, and it shows. Trump’s got no tempering, just a temper. 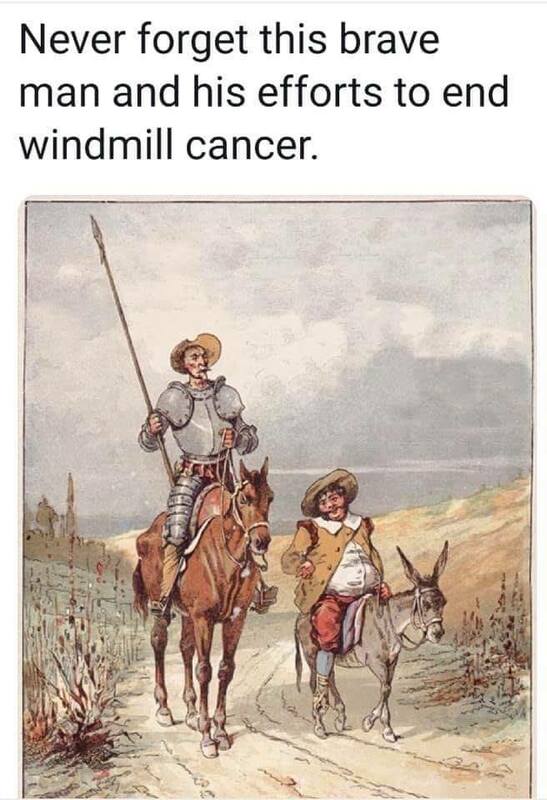 That’s Don Quixote, tilter of windmills. It’s a literature reference. And a Trump reference. It’s disturbing that someone didn’t know this is a literature bit, and reassuring that the rest did.